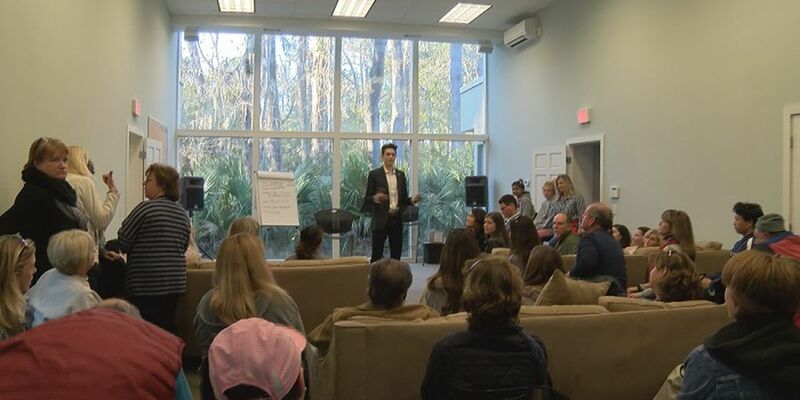 HILTON HEAD ISLAND, SC (WTOC) -Students and parents alike rallied together at St. Luke’s Church on Hilton Head Island on Sunday to show support for a Hilton Head Island principal that was placed on administrative leave. Amanda O’nan was placed on administrative leave while the Beaufort County school district investigates allegations of improper conduct. “I just want her to know that we all care about her and we’re all on her side,” said student Zach Tuttle. One by one current and past students stepped to the podium to step up for Onan. “She’s the rock of our school pretty much,” said student Megan Lyons. O’nan was in attendence and spoke with WTOC. “I just want to thank everyone for the community support, its been awesome,” said Principal O’nan. Even parents were going to the front to say why they’re standing behind the high school principal.